We’d love your help. Let us know what’s wrong with this preview of Transhumanism by Joseph P. Farrell. The ultimate question is no longer "who am I" or "why am I here." These questions were answered in the earliest civilizations by philosophers and priests. Today we live in an age of such rapid advances in technology and science that the ultimate question must be rephrased: what shall we be? This book investigates what may become of human civilization, who is setting the agenda for a trans-humanistic civilization, and why . 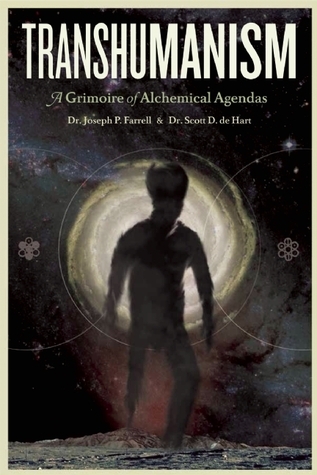 Transhumanism, a Grimoire of Alchemical Agendas by Dr.'s. Joseph P. Farrell and Scott D. de Hart lifts the veil from the macabre transhumanistic monster being assembled and exposes the hidden history and agenda that has set humanity on a collision course for the Apocalypse. To ask other readers questions about Transhumanism, please sign up. Very interesting and very .... strange?... book. I wish the authors had included more about transgenic organisms.